Kale is hot. There probably hasn’t been a hotter vegetable since Popeye-era spinach, or maybe since people realized that you can make broccoli smaller and far more edible just by putting an “ini” at the end of it. But unlike men (even the ones who love kale), not all kale is created equal. So we set out on a nationwide search, and tracked down the best kale in every single state in this crazy kale-loving country of ours. Welcome to Kale University, enrollment, EVERYONE. Especially the kale in Huntsville. Mmm, good stuff. Did you know some parts of the year Alaska has daylight almost the whole day? 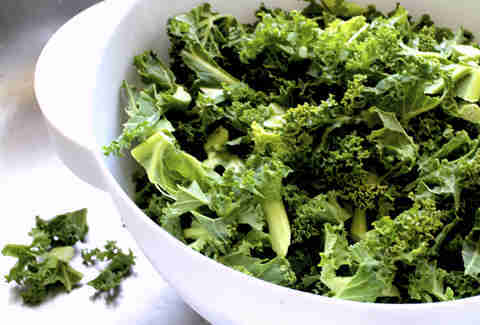 Think of how much kale-eating you could get done! 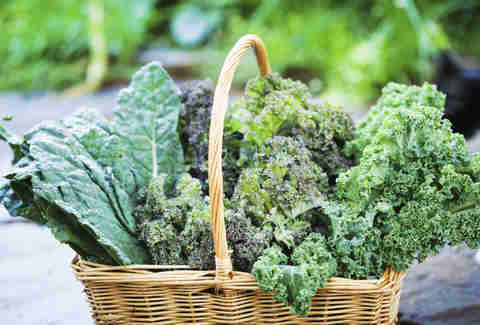 Kale prevents heat stroke among the elderly. California is in a major drought. KALE! Somehow that potent, dank kale has ALWAYS been legal here. The First State was busy ratifying that Constitution so they could get their kale on. Florida has a problem with thousands of invasive pythons hiding out in the Everglades. Maybe lure them out with some of that kale? Kyle Korver Kale... is, in retrospect, not the best idea for a business venture for the sharpshooting Atlanta Hawks forward. But that opens up a big-time opportunity for Al Horford. Famously immortalized on iconic volcano Mt. 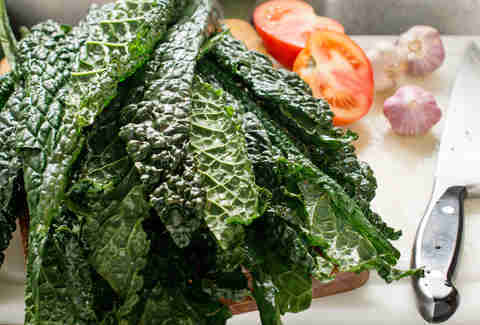 Kale-auea. Idaho scientists are working to cross-breed kale with the potato, but until then, kale is the pick here. They dye the Chicago River green every March. It isn’t supposed to have anything to do with kale, but who can really be sure? Have they been in the news lately? It wasn’t kale-related, was it? Chris Kingsbury ate so much of this kale in college you guys. It worked. Look it up. Rock. Chalk. Jayhawk. But also kale. The secret to getting a horse to run fast? Post-race kale party! Also steroids. No joke: there is nothing better to eat in New Orleans than their kale. Maine may have gained statehood as a part of the Missouri Compromise, but this state does not compromise the quality of its kale. Try sprinkling some Old Bay... on second thought, nah, this kale is too good all by itself. Harvard and MIT are two world-renowned universities where people probably also eat kale sometimes. Kale just might be the new automobile. Think about it. Jucy Lucy? More like Somewhat-Dry Kale! There’s no excuse for this much obesity with kale of such fine quality. The Show-Me State! Hey, how about you show me and everyone else some of that top-quality kale? Montana is the fourth-largest state by area. Use more of that space to grow that yummy kale guys! An underrated Bruce Springsteen album, and an underrated kale state. 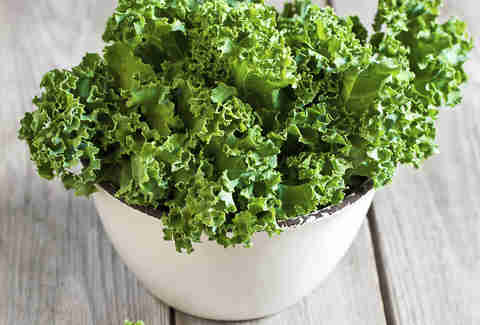 Not making wholesome Nevada kale a part of your diet is the real gamble -- WITH YOUR LIFE! It’s just really solid kale, okay? Don’t fuggedabout the really good kale that’s here. The real "Empire State of Mind"? Thinking about eating a buncha kale. Dean Smith died and left all his former players $200 for a nice dinner. Hope he won’t be mad when Dante Calabria spends it all on kale! Wait, the other one has Mount Rushmore? Whatever, there’s still kale! Well, it’s no Michigan kale, but Ohio is still more than holding its own in the kale department. Fact: LaMarcus Aldridge would rather play for the Kale-blazers. The best cheesesteak recipe? 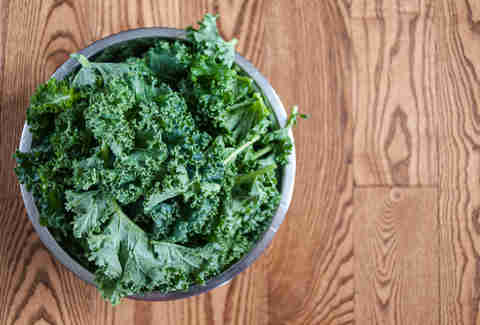 Take two handfuls of kale and go to town. 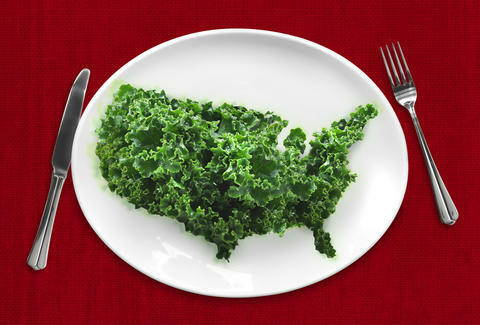 The smallest state in the union is big on kale flavor! Hootie & the Blowfish started here. On a related note “Let Her Cry” is a really good song to listen to while eating some kale and sobbing about your ex-girlfriend who dumped you in 1995. Badlands become Goodlands if you’re eating kale. Kale-house rock! Get it, because Graceland is here?! They probably don’t have kale there, but soon maybe? The line at Franklin BBQ is always crazy-long, which is super confusing because they don’t serve kale? The Mormon religion isn’t so hot on alcohol and caffeine. Neither of those are in kale, so party time! Vermont is nicknamed the Green Mountain State. Is one of those mountains covered in kale? Possibly! 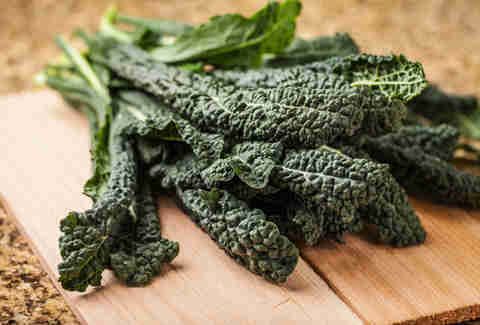 Don’t be cavalier... and dismiss this state’s nutritious and delicious kale. Have you ever watched the guys tossing fish around at Pike Place Market? Ignore them, they’re just trying to distract you from all the mouthwatering kale. Kale to the Chief, amirite?! Country roads... take me home... so I can... eat some kaaaaaaale! 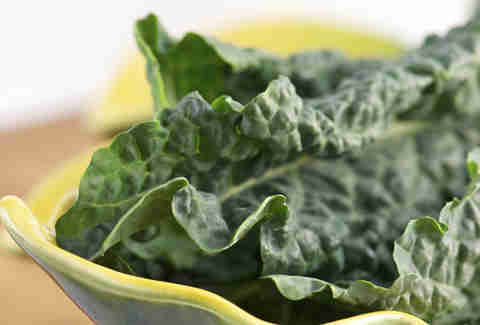 Pro tip: you can’t really make cheese out of kale, but it doesn’t matter, because this is some really good kale! Have you ever gone to Yellowstone National Park? Big mistake pal, that time could have been spent enjoying some of the nation’s most Vitaman A-rich kale! When not writing for Thrillist, Tuck Danbridge is a Hollywood stuntman who specializes in high-speed car work and big falls. He doesn’t believe in Twitter because he’s too busy believing in kale.